extend the life of your Harmony remote! Broken LCD on your Harmony One or Harmony 900? Defective buttons on your Harmony 880/890? Harmony 1100 touch screen not responding? These are just a few examples of the many repairs we do. Contact us if a repair you need is not listed! Need an LCD for your Harmony 1000 or 1100? Or, perhaps a hard-button circuit board? How about a front cover for your Harmony One? Is the 'soft touch' back cover peeling on your Harmony 900? We carry several hard-to-find parts. ​​Take a look! 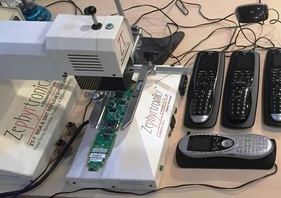 We often have used/refurbished Harmony remotes for sale. Typically requiring only a small repair, they come with a 90-day warranty and the best customer support you can find anywhere.